A new procedure could give people suffering from epilepsy a new lease on life. KANSAS CITY, Mo. 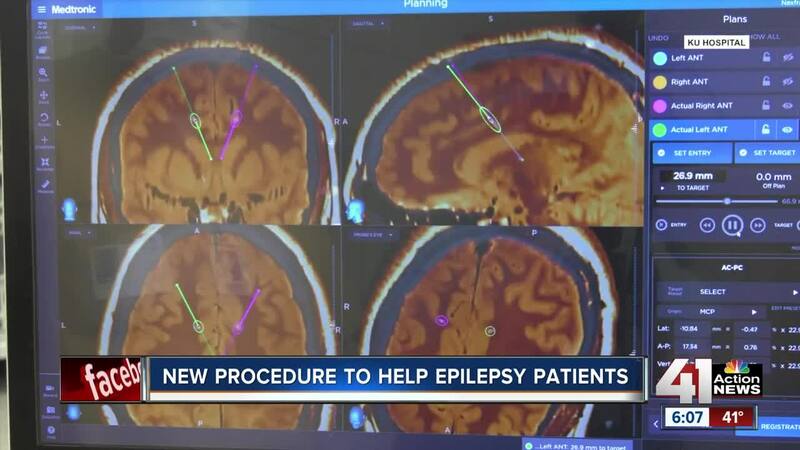 — Epilepsy is one of the most common neurological disorders in the world but a new procedure could stop the disorder in its tracks. The FDA just approved it in early December and 41 Action News Anchor Kevin Holmes was there for the third surgery ever at the University of Kansas Health System. Watch the video above to learn how patient Jennifer Bentrop hopes for it to change her life.